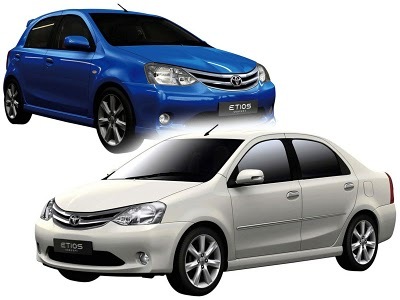 Toyota Etios is all set to be launched in India, and will be priced at a relatively low Rs.5.25 lakhs only. The reason the we are saying the price is low because this vehicle is an entry level sedan and has the top of the class features in it. It is said that the car would be competing against the Honda City, Tata Indigo and the Maruti DZire. The car will be launched in the month of March 2011, and the company has already started to predict the sales of this vehicle, as it basically built for the liking of the Indian customer. The company is predicting that it would be selling around 145000 Etios’ in India after its launch. Specifications of the vehicle have not been disclosed for India, but it is known to have a 1500 cc petrol engine. The diesel version would be available in the sedan model by mid next year. Toyota aims to get very strong sales from India, as this country is the second largest car market in Asia, and it can really make a good presence after the launch of the Etios.